Perhaps you’ve noticed your juniper bonsai looking a little under the weather. Its needles appear brown and brittle and it’s not as perky as it once was. If you suspect your little tree is experiencing distress, it is best to act very quickly. The sooner you come to your bonsai’s aid, the better. Their diminutive size makes them appealing as houseplants, but juniper bonsai are truly meant to be an outdoor plant. The juniper varieties used in bonsai gardening are trees. Just like all trees, they require the light and temperature combination that comes from being outdoors. Those who wish to raise thriving bonsai trees should only bring them indoors for a day or two if needed for a special occasion or to be used as a display. They should then be returned to the outdoors as quickly as possible. Juniper Bonsai is a kind of cypress family of plants. It is a very popular coniferous tree or shrub. It has a foliage color ranges from light green to dark blue-green, and it has a needle-like or scale-like appearance. It measures 2cm-3cm depending on its species and it would usually take 1-2 years to ripe. A Juniper Bonsai tree is considered the beginner-friendly bonsai tree because it is easy to raise and it responds well to pruning. If a Juniper Bonsai tree is not cared for properly they could wilt or die. A bonsai tree can die because of poor cultural care, diseases, and pest infestation. Juniper varieties mask their troubles for quite some time. This can be bad for beginning gardeners, as the plant will appear to be healthy at first even when it is not. By the time the plant outwardly manifests signs of its distress, it may be too late to do anything meaningful. For this reason, it is best to purchase a juniper bonsai from a reputable nursery where the employees are expert gardeners and understand the care and maintenance required for these beautiful trees. 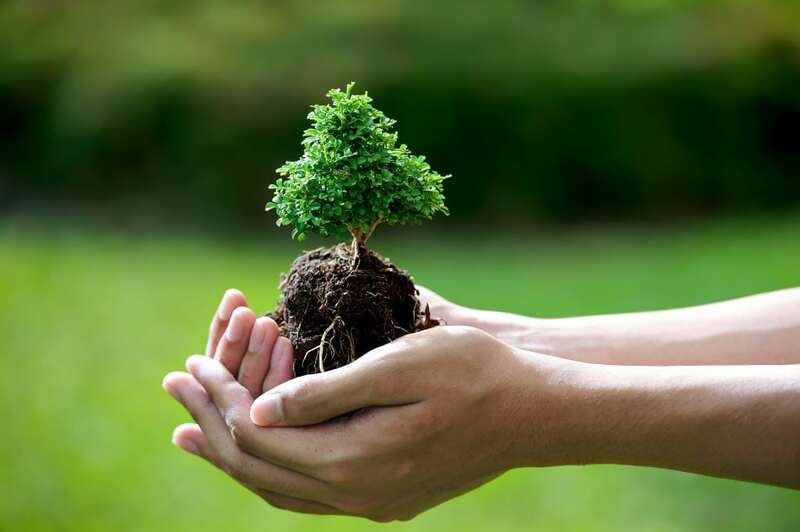 Purchasing a tree that has been raised in a nurturing environment and is in prime health to begin with is the single best thing a bonsai hobbyist can do to succeed. Bonsais are often sold at mall shops or garden centers that do not specialize in exotic plants. They are usually staffed by well-meaning employees who are often unaware of the particular needs of a juniper bonsai and over-water the trees. This is one of the leading causes of distress in juniper trees. If a tree is showing signs of trouble, all is not necessarily lost. There are a few tricks that might help to nurse the tree back to full health again. If it is not too late for the tree, things like changing the potting soil or watering schedule might help to restore it. Below are 9 quick tips on how to help your juniper bonsai. For more in-depth details on how to care for your juniper bonsai, please scroll down to the rest of this guide. If your tree has taken on a truly alarming appearance, or even looks dead, it might be time for the Scratch Test. Carefully scratch a section of the tree’s trunk with a fingernail. While the outer layer of bark is brown and appears dead, the inner layer of a tree that is still alive should appear to be a vivid green. If your Scratch Test reveals a green inner layer, there is still life in your tree and it can probably be saved. If, however, your little tree has a dried trunk with no green underneath, it might be time to say your goodbyes and perhaps try again with a new tree. If your Scratch Test made clear your tree is still alive, it is now time to get to the root of the problem, literally. Your bonsai may have come in a container with decorative stones glued to the soil. If so, remove these immediately! This is a tactic used by many garden shops to make the trees look pretty and to keep the stones from shifting around during transport. The glue used to keep the stones in place is not healthy for the tree and should be thrown away as soon as possible. Once the stones are removed, grasp the tree gently by its trunk and lift it from the container. It’s time to look at the roots and see if they give any indication of the plant’s distress. Healthy roots are firm and white in color, so roots with distress should stand out. Trees with root rot will show sections of root that are discolored and mushy. This is usually caused by over-watering the plant. If juniper roots are continually exposed to standing water, they begin to rot. Mix a solution of two-thirds denatured alcohol and one-third water. Wipe or dip the blades of a pair of garden shears into the solution to sterilize the blades. Plant diseases can sometimes transfer with dirty garden shears. Once the shears are fully sterilized, trim away any rotted sections of root from the plant, taking care to make cuts that cleanly sever the section of diseased roots rather than crush them. Junipers required sandy soil that drains well. Your local garden store might carry such a blend; if not, it is simple to make one yourself. Mix one-third sand or ground volcanic rock with two-thirds humus. Fill a large pot with this mixture and replant the juniper. The goal is to keep the tree roots moist but not soggy. A sandy soil will allow water to pass through freely, watering the tree but not drowning it. Fertilize the tree with a good quality fertilizer mix meant for evergreen trees. Avoid any fertilizers that contain nitrogen. Institute a strict regimen of only watering the tree every few days, as the soil begins to feel dry. Junipers are plants common to semi-arid or desert climates and do not require as much water as traditional houseplants. They must never be left in standing water. Sterilize the shears again and prune off any dead areas from the tree’s foliage. In the warm months, place the tree in a spot that receives no more than four hours of direct sunlight per day. Ideally, your tree should receive morning and evening sun, with shade during the intense hours of noonday sun. During winter, place the tree indoors in bright, but not direct, light. Intense cold will quickly kill a juniper bonsai. If the worst should happen and your little tree is too far gone to resuscitate, remember that all gardening is a learning experience. Any failures in the garden pave the way for future triumphs. Armed with these tips, your juniper bonsai should have an excellent chance at success. The first step in growing a Juniper Bonsai tree is to acquire a tree; you can buy a pre-bonsai tree that will be pruned. Another way of acquiring a Juniper Bonsai tree is by cultivating your own tree using seeds or cuttings. A very important factor in purchasing a bonsai tree is the choice of the Juniper Bonsai specifies whether you would like to grow it indoors or outdoors. If you’ve successfully acquired your own Juniper Bonsai tree the next step is to start shaping and styling it. Shaping and styling the bonsai tree is the most challenging part in growing bonsai because it is where your creativity will be tested. 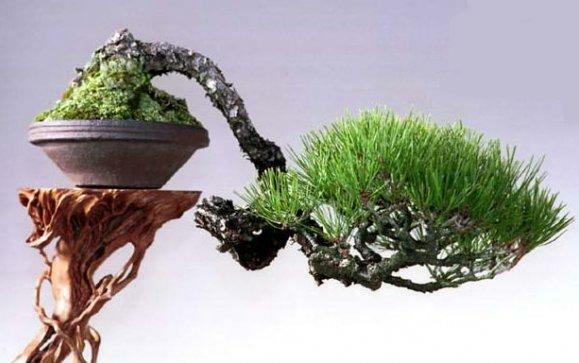 There are refine techniques that can be used to style and shape the bonsai with the use of punning and wiring techniques. An important part of growing a Juniper Bonsai tree is the care and maintenance. Each bonsai tree species has a specific care guideline that is why it is important to have a research on the bonsai tree selected. If a clay-like soil is used water is not absorbed quickly that is why there’s a tendency that the bonsai tree will be underwatered while there are also types of soil that can easily retain water that may lead to overwatering. Underwatering may kill the bonsai tree in days while overwatering may kill the bonsai tree in weeks. The trunk has tiny creases that are an indication that the bonsai tree is shriveling up. The soil feels hard and dry especially if you would stick your finger into the soil. The roots are sticking out. This is an indication that the roots are venturing out to find water. There are an excessive number of leaves that are discolored (yellowing and browning). The small branches may shrink and the trunk feels soft. The bonsai tree looks tired and it is no longer vibrant and healthy. A Juniper Bonsai Tree is an outdoor kind of bonsai wherein it needs a lot of sunlight exposure. If you place this kind of bonsai tree inside it may cause yellowing of the leaves and the bonsai tree will eventually die. There are factors to consider in choosing the right place such as the local climate, tree species and the time of the year. Bonsai trees are planted in small pots that need proper drainage that is why the bonsai soil should be loose and gravely. Just like any other plant, bonsai trees need to be fertilized to have proper nutrients. It is advisable to fertilize the tree at least once every three weeks. There are some bonsai growers that try to redesign their bonsai trees often. Repotting and pruning should be done once a year so that it won’t be stressful for the bonsai tree. STEP 1: The first step is to closely examine the bonsai tree physically. Here are some of the symptoms to look for if the bonsai plant is sick. If you are unsure of the problem, trim the roots. Remove all affected leaves and brush away loose dirt from the roots. You can easily determine if the bonsai plant is sick through the roots. Healthy bonsai roots usually have the same color as the trunk. If you’ve noticed that the color of the roots is black, then most likely the bonsai tree is diseased. Tip #1. 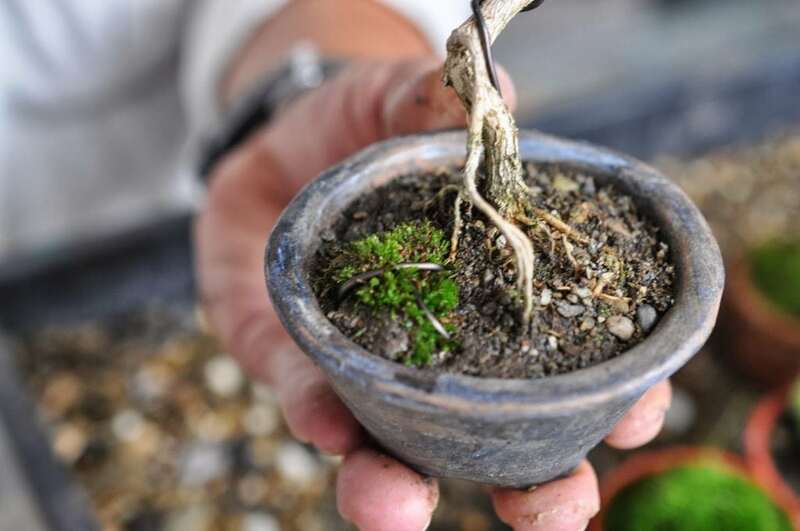 If you’ve noticed that the roots have started circling around the pot then it means that you need to repot your bonsai tree so that the roots will not choke and so that the tree will not starve. Tip #2. It is best to repot your bonsai tree in spring because it is where the tree is not under pressure in getting and maintaining foliage. Tip #3. In re-potting your bonsai tree, it is necessary to remove all the old soil as much as you can to avoid contamination on the new soil. Tip #4. Pruning the long roots is advisable so that it won’t outgrow the pot and to check the if there are sick or rot roots. After trimming the roots, finding a new pot for your Juniper Bonsai Tree is advisable because there’s a possibility the old pot is contaminated with diseases. The size of the pot should be proportionate to the size of the bonsai tree. Feed your Juniper Bonsai Tree with moss and soil enriched with nutrients. The moss will protect the bonsai tree from pest infestations and diseases. Juniper Bonsai tree prefers soil that has low levels of phosphorus and nitrogen. Do not use the soil from the old pot to avoid contamination. Place your Juniper Bonsai Tree in a secluded location away from other plants to avoid cross-contamination. It is also advisable not to re-expose the bonsai tree to the same location because it may be infested with the same disease or pest infestation again. If there is a wooly fuzz spotted on the trunk and leaves then most likely the Juniper Bonsai tree is infested with fungus. The best way to get rid of fungus is to apply a small amount of rubbing alcohol to the affected area to take care of the problem. If you spot any insects, identify which species is present to know the appropriate insecticide to be used. An immediate treatment is to remove the insect itself from the bonsai tree to prevent further damage. These are the most common pests that can ruin your bonsai tree. This kind of pest is caused by the fungus that can be spread easily especially in moist conditions. Mature leaves are more resistant to anthracnose infestation. This pest is usually seen on a new stem or on the bottom leaves. Weak leaves and branches are the signs that the bonsai tree is infested with aphids. This kind of pest loves to chew the living tissue or fiber of the branches. If unattended the tree will have an internal damage that will never heal so it is necessary to just burn the bonsai tree so it won’t harm other nearby bonsai trees. Most damage caterpillar is visible on the leaves. The most effective way to get rid of a caterpillar is by simply removing it by hand. Ant infestation may be a symptom that the bonsai tree is not watered properly. Ants will only be a problem if it is in large number. You can easily get rid of this problem by spraying water on the leaves through the use of hose so that the ants will be washed off. Mushy, wet, wilted or color black roots are signs that the bonsai tree is sick. Use a clean pair of scissors to trim such roots. Be careful in trimming this part of the roots to avoid further contamination or spread of the disease. There are varieties of reasons why the leaves are yellowing. The most common reason why the leaves are yellowing is that of underwatering, exposure to cold, stress and mineral deficiency in the soil. Another reason why discoloration found on the leaves is a sign that the bonsai tree is infested with fungus or chlorosis which is a lack of chlorophyll. If the pruning process was not performed properly, the bonsai tree may suffer from Canker disease. Some of the symptoms that the bonsai tree is suffering from this disease are swelling of the bark, poor growth, and fading of the leaf color. Aside from improper pruning too much nitrogen level and improper fertilizing may lead to Scab or Canker disease. Following proper pruning and proper fertilizing methods will effectively avoid this disease. Each bonsai tree requires specific watering techniques. Water requirements will depend on some factors such as the time of the year (if it is summer or winter), a number of hours exposed to sunlight, size condition and the size of the Juniper Bonsai. Guideline #1. It is best to water the bonsai tree if the soil gets slightly dry. Use your fingers to check the soil. If the soil is dry at around 0.4 cm. then it is a sign that your bonsai tree is thirsty. Guideline #2. It is not advisable to water the tree on a routine. Individually check the bonsai tree if it needs watering. Guideline #3. Chose a soil that retains more water especially if you cannot water the bonsai tree regularly. Avoid types of soil that cannot provide good drainage and are liable to build up of salts because it can cause the roots to rot. Guideline #4. Water the plant depending on light exposure. Increased in sunlight exposure means an increase in water intake while a decrease in sunlight exposure means a decrease in water intake. Your water will also require more water during the summer season. Guideline #5. Water the bonsai tree during the morning hours so that the water intake will be properly utilized by the tree. The quality of the soil directly affects the health of the tree. It is important to use the right mixture to ensure that the bonsai tree will receive right nutrients. Like any other plant properly feeding the bonsai tree with nutrients is important to have a healthy growth. It is ideal to feed the bonsai tree with fertilizer every 2-4 weeks during the growing season. The soil should have water-retention properties that are able to hold sufficient quantity of water that is enough to supply moisture to the bonsai plant. The soil should provide good aeration so that the oxygen is well distributed and to allow tiny gaps between each particle for proper absorption of nutrients. The soil should be able to drain excess water immediately from the pot to avoid overwatering. Pruning is very important in growing a bonsai tree to maintain its size and shape. There are two types of pruning: the maintenance pruning and the stylistic pruning. Maintenance pruning is when you keep the bonsai tree small that encourages new growth while the stylistic pruning is where you can enhance the aesthetic quality of the bonsai tree. Step #1: Carefully pluck out dead leaves, dead weeds or dead wood and discard them. Step #2: Trim crossed and broken branches to allow the bonsai tree to directly receive sunlight. Step #3: It is advisable to only have 3-4 nodes twig to keep the tree from growing too big and to also encourage new growth. Step #4: It is best to prune heavily during spring and summer because it is the season wherein the tree is actively growing. Step #1. It is best to prune for structure and style from November to February because it is the season wherein the bonsai tree is dormant so that there won’t be too much damage to the bonsai tree. Step #3. Trim out the crown and canopy to allow the sunlight to filter through and reach the lower branches. With the use of branch, cutter trims down overgrown branches to have around and balanced bonsai tree. 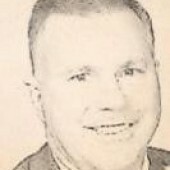 Step #4. 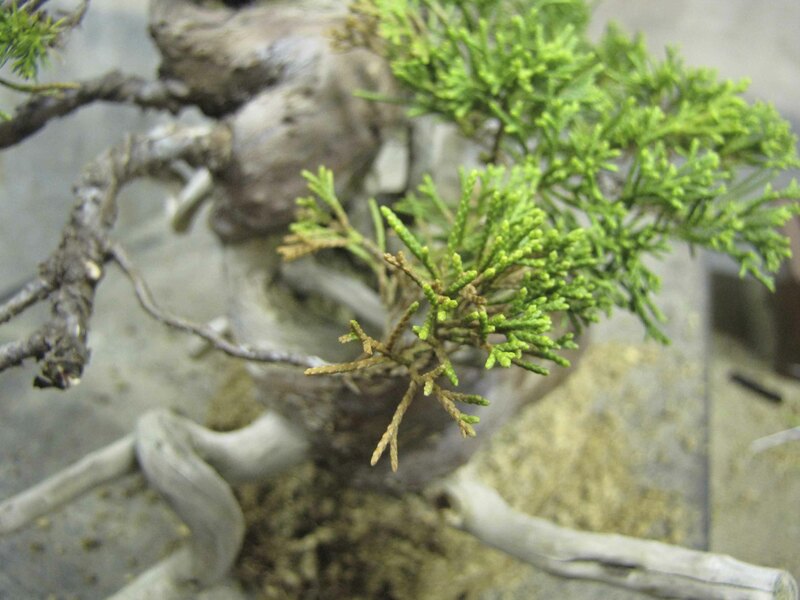 To create a more compact bonsai tree, pinch out whole needles that are large or overgrown. This will encourage new branching on the tree. Step #1: To avoid pest infestation cover the cuts with wound paste, it will effectively lessen too much sap from leaking out. Step #2: After doing the pruning procedures it is important to water the bonsai tree to encourage new growth and so that the wound will heal faster. Step #3: Apply fertilizer every 2-3 weeks. For small bonsai tree, it is recommended to use liquid fertilizer while for large bonsai tree use granular fertilizer. Training the bonsai tree involves gentle bending of trunk and branches to determine the look of the bonsai tree. There are two types of training, some are meant to resemble a real tree in nature and some are more stylistic but there are a lot of bonsai styles to choose from. The most popular are the Chokkan, Moyohgi, Shakan and Bunjinji. The Chokkan is a formal upright from wherein the branches stretch evenly out around it. The Moyohgi is an informal upright wherein the bonsai tree has a more natural slant rather than having a straight upward posture. The Shakan is in a slanting position that looks windblown and striking while the Bunjingi has long and twisted trunks with minimal branches. A Juniper Bonsai tree needs approximately 5-6 hours of sunlight each day. It is not advisable to use artificial lighting because it will not provide the light spectrum needed for the bonsai tree to fully develop. During the summer, spring and fall season, the bonsai tree should be placed outside where it can receive sufficient sunlight. The morning and afternoon shade is the best. During the winter season, it is advisable to place the bonsai tree indoors on a window so that the bonsai tree will still receive some sunlight. Some signs of dormancy are similar to the signs of dead bonsai tree that is why you need to be careful in determining whether the bonsai tree is still alive or dormant. Take a knife or a fingernail and gently scrape a small bark off the trunk. If the color is green then most likely the bonsai tree is still alive but if the color of the trunk is greyish or dark brown then it could be a sign that the bonsai tree is suffering or the tree is dead. Grasp the twig and carefully bend it sharply. If the bonsai tree is alive the twig will bend easily showing moist within. If the bonsai tree is dead then the twigs will snap cleanly with a little pressure and appear dry within. Bonsai trees are less active in extreme weather conditions like freezing temperature or in the winter season so if the bonsai tree. Growing a Juniper Bonsai tree can be a stress reliever. Most bonsai grower considerate as a wonderful hobby. Growing Juniper Bonsai tree develops patience. Bonsai tree requires proper watering, trimming and fertilizing to grow healthy. Indoor bonsai plant helps purify the air in the room. Indoor bonsai plant helps fight a fatigue cough, cold and sore throat. Growing Juniper Bonsai tree provides you with a great sense of accomplishment especially if you’ve successfully grown a healthy bonsai tree. Growing a bonsai tree is not all about gardening but it provides therapeutic value. All gardening is a learning experience to be treasured. Knowing some principles about bonsai can enhance one’s appreciation of bonsai. Allow your passion guide you in caring and cultivating your Juniper Bonsai tree and all plants and trees in general. We hope you’ve enjoyed this Juniper bonsai tree care tutorial and will make you the best bonsai gardener you can be. Feel free to comment your insights, questions, ideas, concerns, and share your bonsai gardening experiences with us below. You may also want to share this information with your fellow bonsai gardeners, family, and friends! Happy Juniper bonsai growing!